Breathe. Just breathe. Skulking across the Capilano Bridge, one of the longest suspension bridges in the world, I tell myself not to look down, yet I have to. It is dreamily lush and woody. I must take in the rainforest splendor, but the distance between me and the Capilano River below is a nasty 230 feet. That part I, the acrophobe, do not like. Taking a trip this summer with your outdoor lovin’ pals? Look no further than Vancouver where you will be mesmerized by the sheer volume of adrenalin-rushing things to do inside the city and on the outskirts. And yes, if you are like the Japanese tourist described above, you will be relieved knowing low-intensity, non-death defying activities are also in abundance. 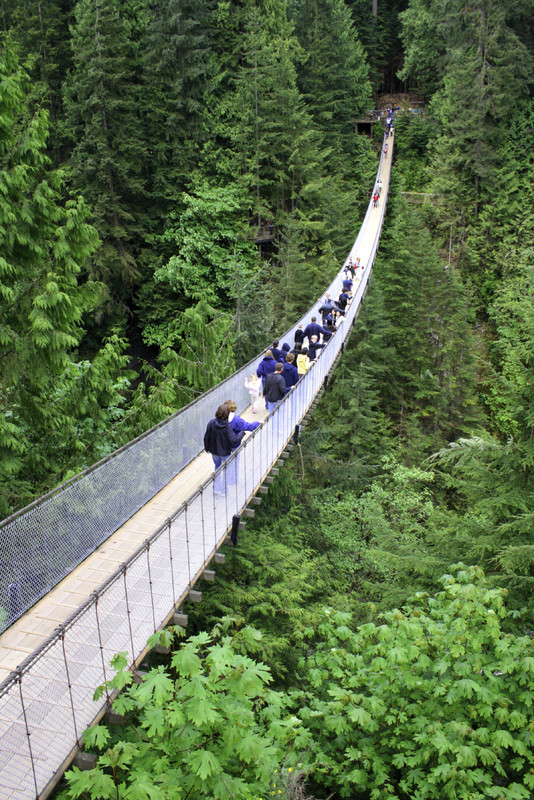 While the Capilano Bridge in North Vancouver has been around since 1889, the bridge has become quite the tourist attraction and is now called the Capilano Bridge Park. It has evolved to become a natural adventure zone that includes, as of 2011, Cliffwalk, a series of cantilevered walkways and suspension bridges that jut out from a granite cliff. Also included in the $31 adult admission is the Treetop Adventure, seven suspension bridges that link fir tree to fir tree. While there, families can spend the day watching First Nations performances and bringing their kids to the soaring tree house made with recycled wood. 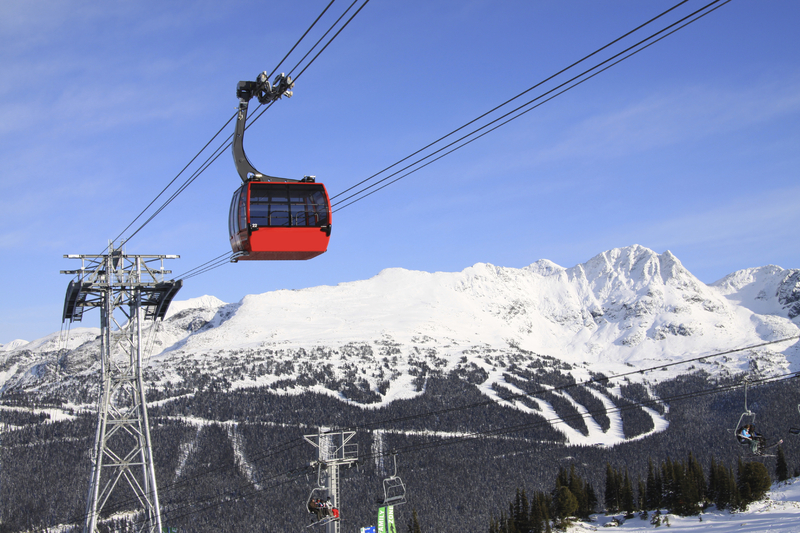 About two-hours outside of Vancouver are the famous communities of Whistler and Blackcomb Mountain, both renown for their Olympic level ski mountains. You do remember that the Vancouver and Whistler region hosted the 2010 Winter Olympics, yes? So you are in for a treat when you go skiing here. Everything was remodeled and retooled in time for those games. And the surrounding lodging consisting of condos and hotels was also spiffed up. Around the Whistler and Blackcomb area are a number of lakes for fishing, boating, and swimming. Like Grouse Mountain, while known mainly for skiing, the Whistler region is popular in summer as well with many, many activities to enjoy for all ages. Need another reason to come to Vancouver? Best times to come are winter or summer, all dependent on what you love to do. Several major festivals will show you how Canadians can party with gusto. In April, the Vancouver Sun Run features some 54,000 runners who will trod the six-mile course. Then in June, the Vancouver International Jazz Festival brings talent out to 40 venues throughout the city. The same month, the Dragon Boat Festival celebrates with 5,000 dragon boat contenders from around the world. In the fall, keep on the lookout for the Vancouver International Film Festival and the Vancouver International Writers & Readers Festival. And during the holidays, a myriad of celebrations sprout from every suburb and village. Skiing, hiking, festival hopping. In winter or summer, you’ve come to the right place for adventures both physical and cultural. When you plan it right, you can partner a festival with excursions to remember. For a family trip, multi-generatoinal reunion, guy or girlfriend getaway, Vancouver is suitable for all activity levels and all ages. 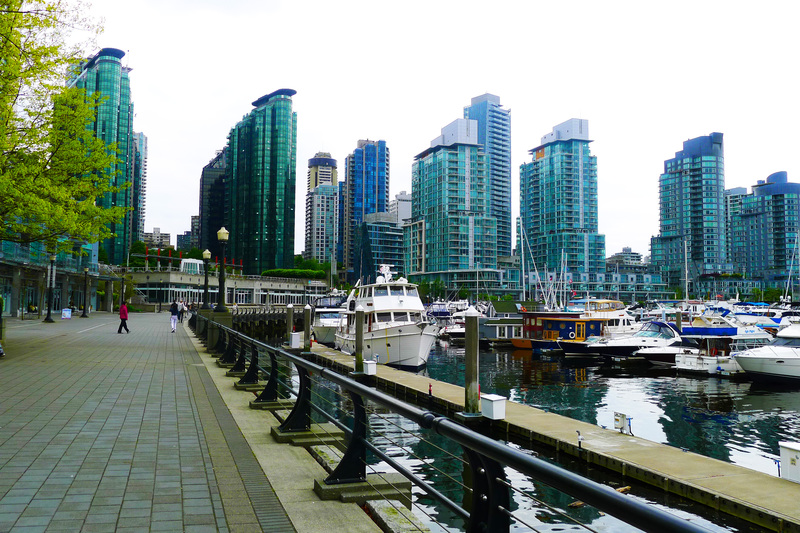 For more information about Vancouver, check out California Tours Vancouver Vacations. When you think of a vacation spot that has it all, Vancouver tops the list. Great climate? Check. Easy-to-use public transit? Check. Awesome cuisine? Check. Safe and clean streets, scenic wonders, unique neighborhoods, trendy shopping outlets? Check, check, check, check, check. Perched on the coast of British Columbia, Vancouver is a peacock of a city: colorful, proud, beautiful, vibrant. This multi-ethnic metropolis, bordered on 3 sides by water, boasts more than 603,000 residents and was named recently as Canada’s best destination and the world’s most reputable city. Urban pleasures abound with a plethora of music and cultural experiences, balanced with outdoor adventures such as hiking, biking, and skiing. Best time to visit are in the summer months. How to get around? Newcomers can rent a car, but they don’t have to. Some tourists may recoil at the thought of going into a major city without the use of an auto, but in Vancouver, a sky tram and bus system works hand-in-hand to get visitors and locals to the places they need to go. For the first timer, several key attractions are must-sees. 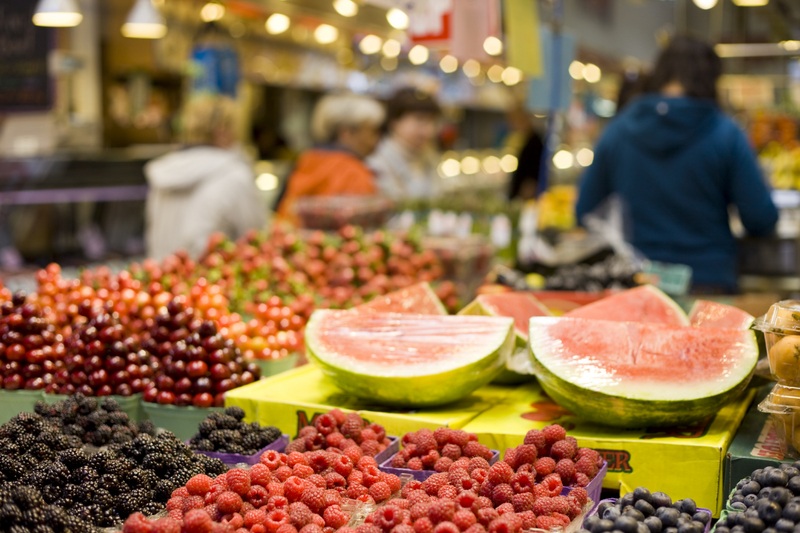 First, pedestrian-only Granville Island is a foodie’s and shopper’s paradise. This hopping farmers’ market surrounded by eateries and charming stores filled with handmade items provides a sensory explosion, topped off with outdoor music around its many courtyards and public spaces. Jugglers, minstrels, mimes, you name it, are here to entertain, not harass, although tipping is highly encouraged. In September, the island will again host the Vancouver Fringe Festival, an event that promotes 400 independent plays in 11 days. The acts range from comedy to drama and everything in between. For theater junkies, this buffet of theater is an ideal reason to come to Vancouver while supporting the work of playwrights and thespians. 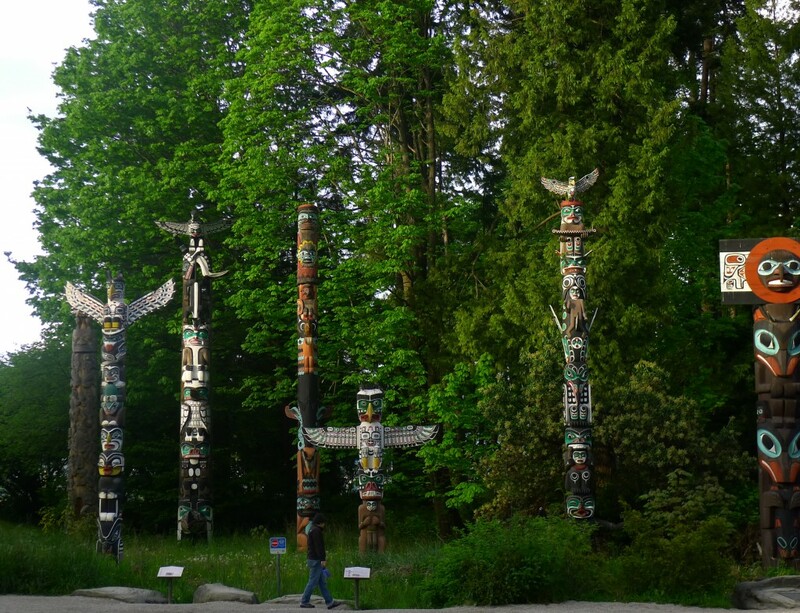 For families, one of the best place to take kids (and anyone for that matter) is the uncomprable Stanley Park. 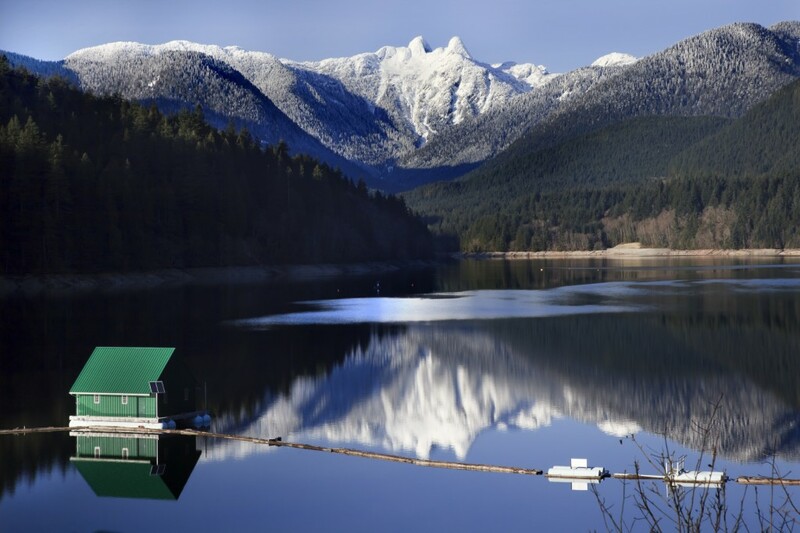 The 1,000 acres in beloved Stanley Park is comprised of rose gardens, serene trails, lakes and lagoons, trails, playgrounds, and herculean cedar trees. Of note are the myriad of artists who come out of hiding from their studio enclaves to paint, sketch, and sell their wares which adds for wonderful people watching on a sun ripened afternoon. Another blessed gem here is the Vancouver Aquarium, The giant tank famous for its beluga whale, tropical forest, and regional and international aquatic life. While walking and picnicking at Stanley Park is highly recommended, visitors can bike or leisurely admire the park via vintage car, double decker bus, or horse drawn carriage. Meanwhile, Gastown, Vancouver’s oldest neighborhood established in 1886, gives all a lesson in urban revival. Now honored as a National Historic Site since 2009, the cobblestone streets of Gastown will give goosebumps to those enamored by Victorian architecture and history. Here you have quaintness juxtaposed with a hipster verve where creativity seems to merge with the molecules of the air. Gastown is the newest restored enclave where writers, artists of every ilk, architects, and interior designers live and breathe. This tony village has become quite the high-tech hub for entrepeneurs wanting to establish digs. Explorers will find eateries and fine dining by the monikers of Chronic Tacos, Judas Goat Taberna, and Nelson the Seagull. At last count, Gastown officials counted 180 shops, restaurants, bars, cafes and restaurants, a subset of the 550 businesses in this hood of 100 antique buildings. 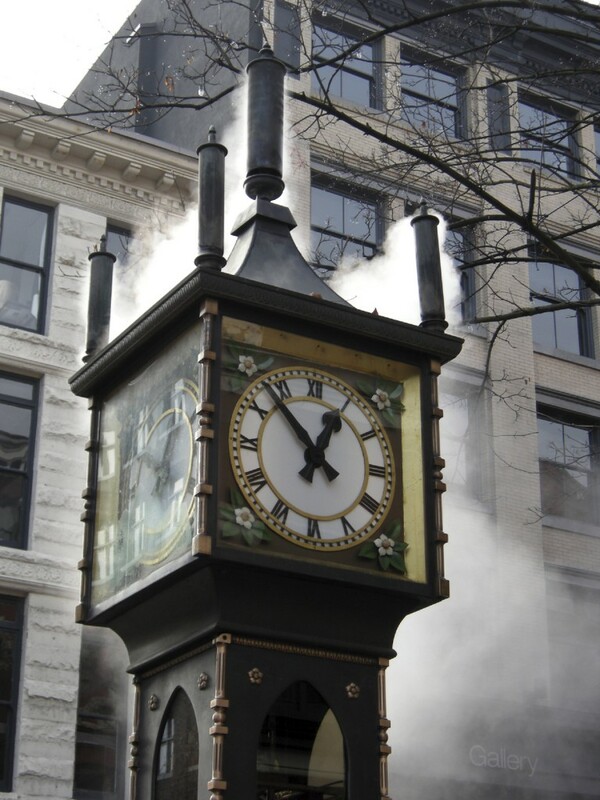 Be sure to take a photo of the signature icon, a restored, whistling steam clock, a popular meet-me-there corner for locals. Don’t rush through Gastown. The Inuit and fine art galleries, gourmet food hops, and fashion-forward boutiques with colorful window displays must be savored. Gastown is one of the venues for the annual Vancouver International Jazz Festival held every June. And no trip to Vancouver can be complete without trekking to the 55-acre Buchart Gardens, which draws visitors around the globe for its abundance of waterfalls, manicured flower beds and trees. A full-day visit always leaves tourists flabbergasted and flummoxed at the variety of the flora and fauna. These are all kept in tip top shape by 50 gardeners who will practically sterilize the walking paths, keeping them leaf and blossom free. And it’s not just a place for grandma and her garden club. The place is plenty kid-friendly with an enormous gift shop with stuff for all ages. And for kids, there is a carousel at only $2 a ride. Families can also book children’s parties in the dedicated party room. How long to spend in Vancouver? You can never spend too long in this B.C. city that never seems to sleep. However, if you spend time at Granville Island, Gastown, Stanley Park, and Buchart Gardens, you’ll have enjoyed the tip of the city’s tourist iceburg. After tasting the pleasures of Vancouver, you will be back for a second helping. If you need assistance planning your vacation, check out California Tours Vancouver Vacations.